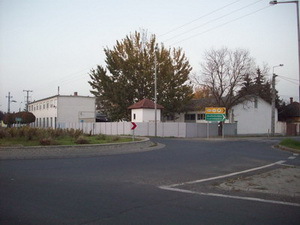 Ceramics manufacturing in Oroshaza - IZOKERAM Co.Ltd. The Austrian-owned IZOKERAM Co. Ltd. has had more than one decade experience in the field of production of high-purity oxide ceramics. Our staff have several years of practice in tool design, tool manufacturing and in ceramics manufacturing technology; the manufacturing of industrial ceramics requires high-precision work. Our company undertakes to manufacture primarily quality industrial ceramics with complex shapes in small series which satisfy individual needs with short lead time. The tools necessary to manufacture quality oxide ceramics products, which satisfy high technical requirements, are designed with a 3D design software and our trained staff manufactures them in our well-equipped workshop. In addition to the presently used quality oxide ceramics’ base material, we are conducting continuous research and development into base materials to satisfy our customers’ growing demand. 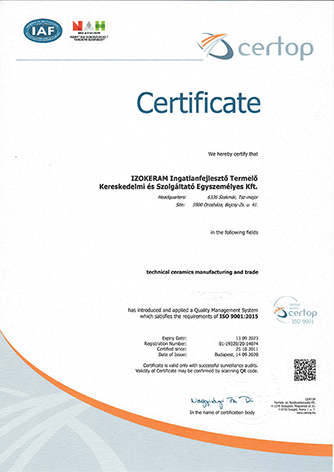 Our company monitors the ceramic products, marked with individual ID’s, within the quality assurance system, in each phase of the production process, therefore we can provide our customers with less scrap and lower dimension tolerances than DIN 40680 medium tolerance grade which is normally applicable in ceramics’ manufacturing. 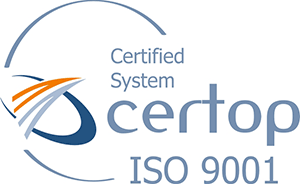 In order to remain competitive in the market of industrial ceramics’ manufacturing and meet the requirements of our customers at high level, the quality assurance system of ISO 9001 has been operated at our company since October, 2011. 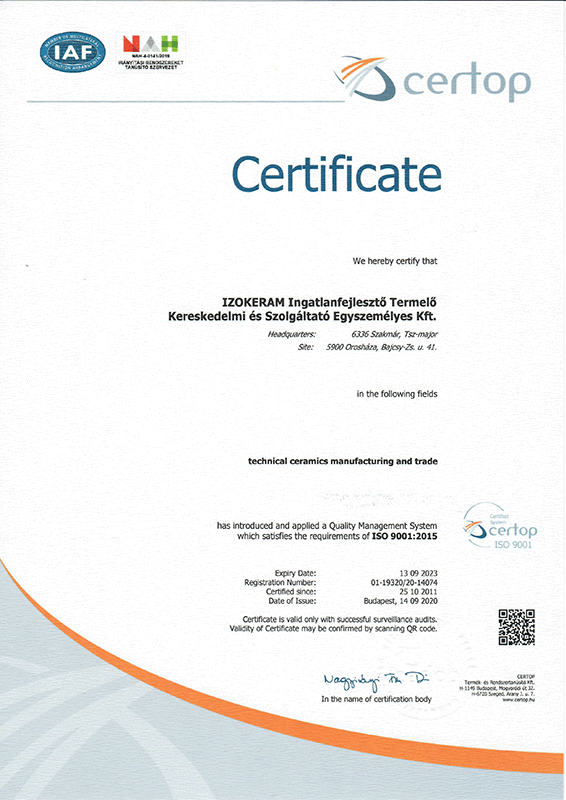 Currently we have a certificate according to standard MSZ EN ISO 9001:2009.